I love big zinc numbers and letters like the ones that Anthropologie has. And if Anthropologie had numbers, I probably would have broken down and bought them, but they don’t – they only have letters. I found some cool numbers online but – ouch! We have four numbers, and that adds up quick. Story of my life: I want them – badly – but I don’t want to spend a fortune. 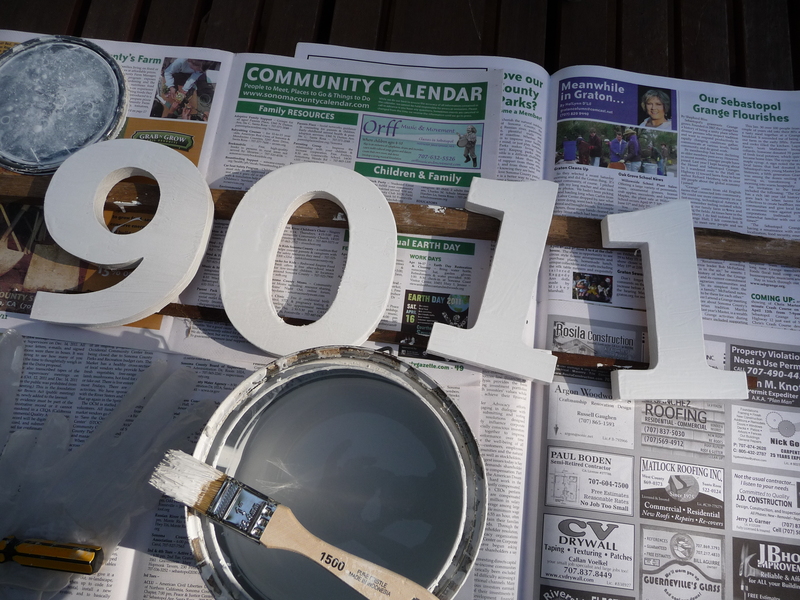 So, I started poking around the web and found a totally cool recipe for faux zinc letters at a blog called Sugar and Charm. 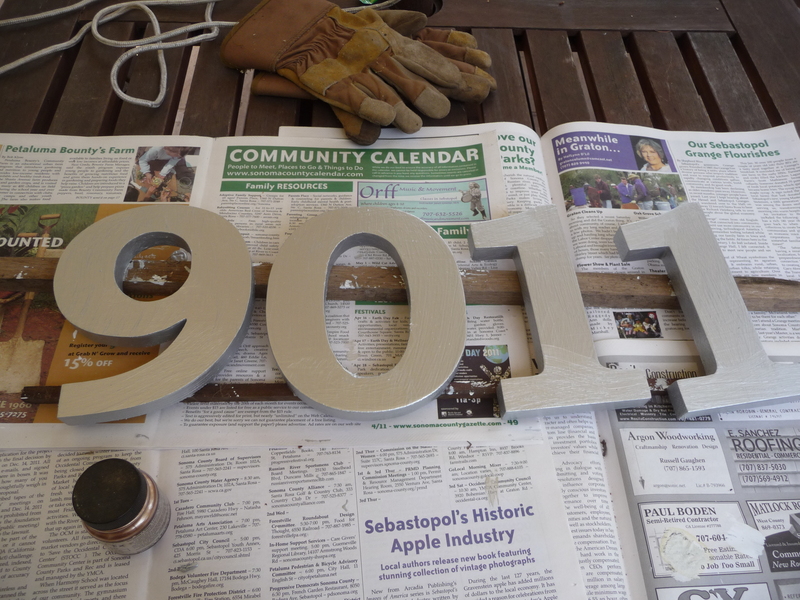 They used cardboard letters, which I didn’t think would hold up well outside, but it got me thinking… so here we go with how to make your own faux-zinc house numbers. 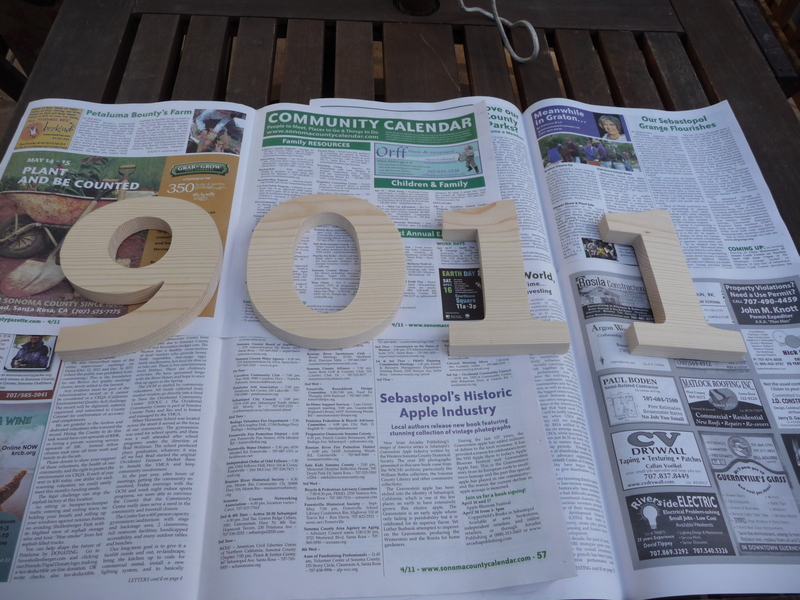 First, buy wooden numbers – there are a surprising number of sources for these online but I wanted mine really chunky. I found them at SJA Wood Design. You can choose by size AND from an amazing number of fonts. I chose Bookman Old Style in 7 inch pine for the amazing price of $3.50 each. 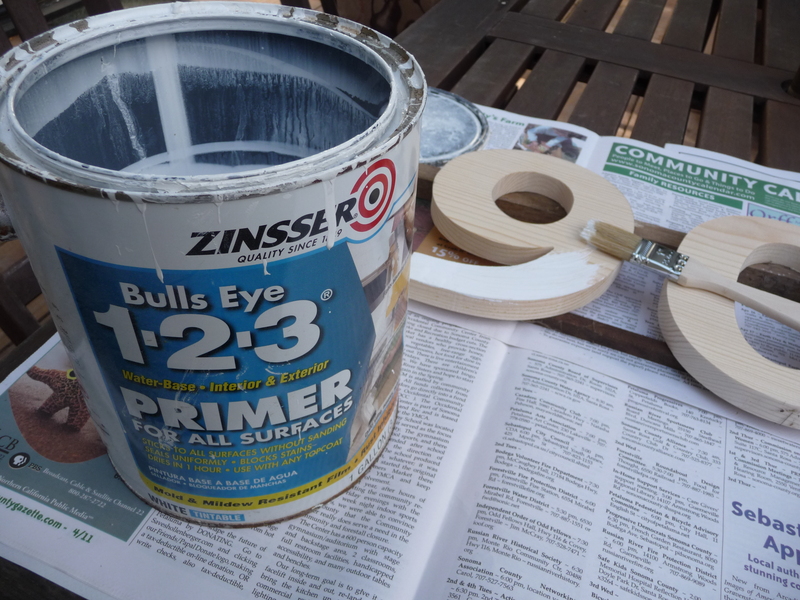 Since they were pretty raw pine (they even smelled nice) I primed them. 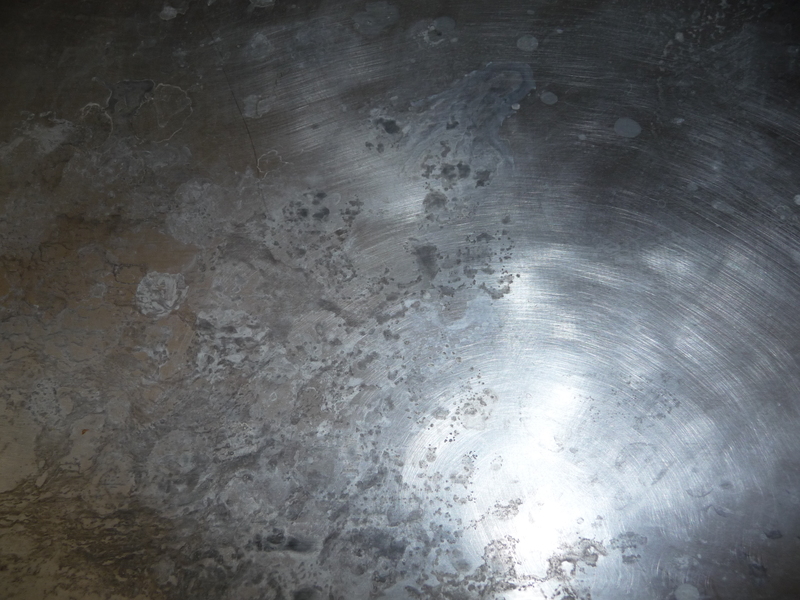 Then I did two coats of silver paint. 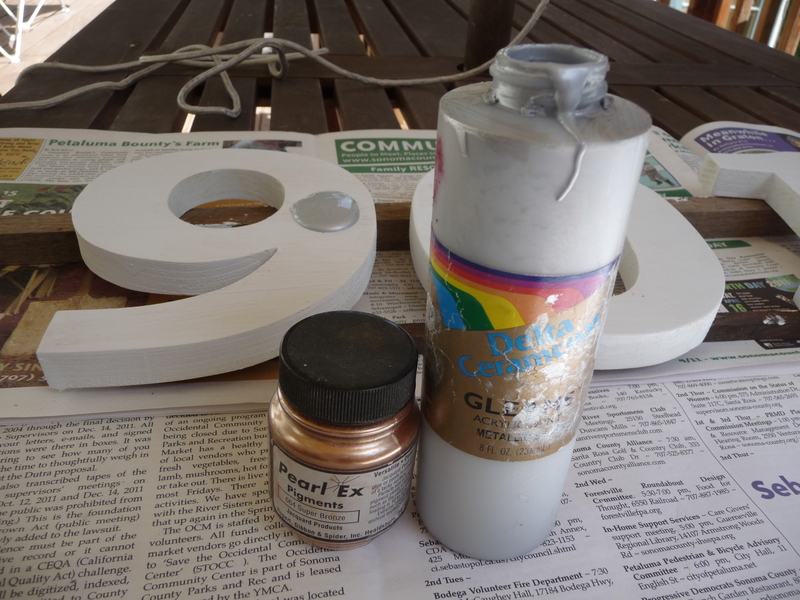 I really think any silver paint will work; I used cheap hardware store acrylic, which I always keep on hand. Next we’ll cover the faux!